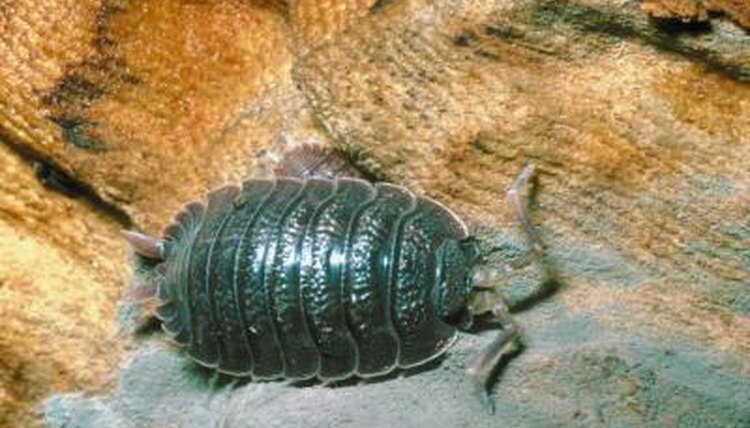 Pill bugs -- also known as roly-polies or wood lice -- are terrestrial crustaceans known to scientists as isopods. Scientists have documented the existence of over 10,000 species, living on the ocean floor, high in the mountaintops and in every habitat between the two. Those lineages that have colonized land habitats are still beholden to water, as they require damp air for breathing. Crustaceans -- including pill bugs -- absorb oxygen through their gills. Gills only function when they are wet, so pill bugs must inhabit places in which the air holds a lot of water. When the ambient humidity is high -- such as after rainy weather -- the pill bugs are able to move about in the open. Gills present special problems for reproduction -- female pill bugs deposit their fertilized eggs in small, water-holding brood pouches, until the young are large enough to fend for themselves.